Tagline: "Your Worst Fear is Your Only Hope." Dark Sky Films is set to release the twisted fairy tale The Dark, this October. Just before Halloween, The Dark will show in several theatres, in North America. The Dark was shot in northern Ontario. And, the film involves a tale of abuse as two children find redemption together. This indie horror film is based on a successful short film. Director Justin P. Lange says of his short film: "my thesis film was my first real foray into genre filmmaking, so it was very much a trial-and-error process for me (Screen Words)." And, The Dark stars: Nadia Alexander ("Seven Seconds"), Toby Nichols ("Iron Fist"), Karl Markovics. 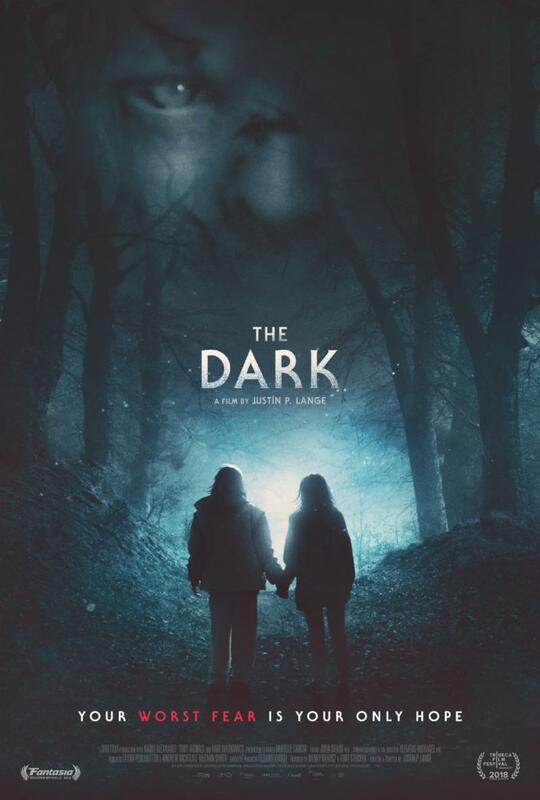 Now, some of that process can be seen in the official trailer and poster, for The Dark, here. 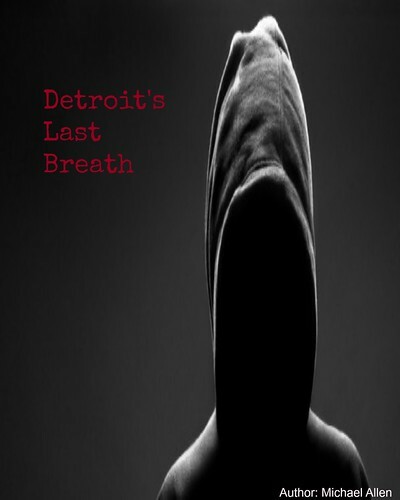 The official synopsis talks of "Devil's Den," a mysterious forest. Anyone who has entered this dark wood has perished. The spirit of a young girl still haunts the area, taunting those who enter. As well, Lange mentions some of the darker themes in the story: "it’s about dark and twisted subject matter, but underneath it all there’s this layer of hopefulness to it." Hope can be found with monsters and murder? Finally, Lange wanted to tell a story from the monster's perspective. He says of central character Mina (Alexander) and the film: "I was interested in seeing...an emotional journey with her." The film is also about Mina's anger: "the other part was seeing the world the way she sees it – this unfeeling, dangerous place, where everything is sort of a mirror for the source of her anger." Anger motivates the film to resolve the characters' pain within as seen in the trailer. Dark Sky Films will show The Dark this October 26th. On this date, The Dark will show in several theatres and on Digital platforms. Described as a Gothic fairytale, The Dark looks to be one of the most terrifying films to release this year. More release details are below. Release Date: October 26th, 2018 (Limited Theatrical, VOD). Directors: Justin P. Lange, Klemens Hufnagl.